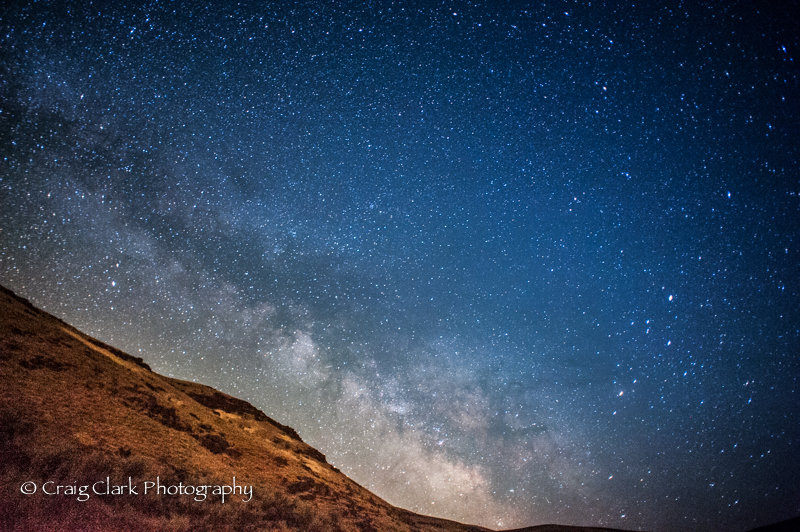 We took the opportunity to capture some late night skies near the Columbia River Gorge recently, It’s always fun to get out late at night and view the magnificent star-scapes from beyond! For the best results search out areas with little or no light pollution and be sure to get out when there is no moon. 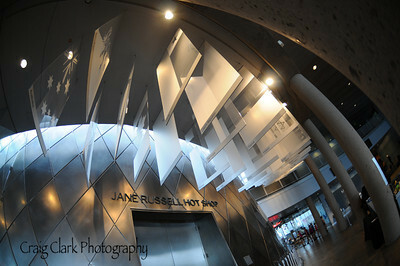 There are many ways to go at it, but I like to use a wide angle lens and shoot wide open. 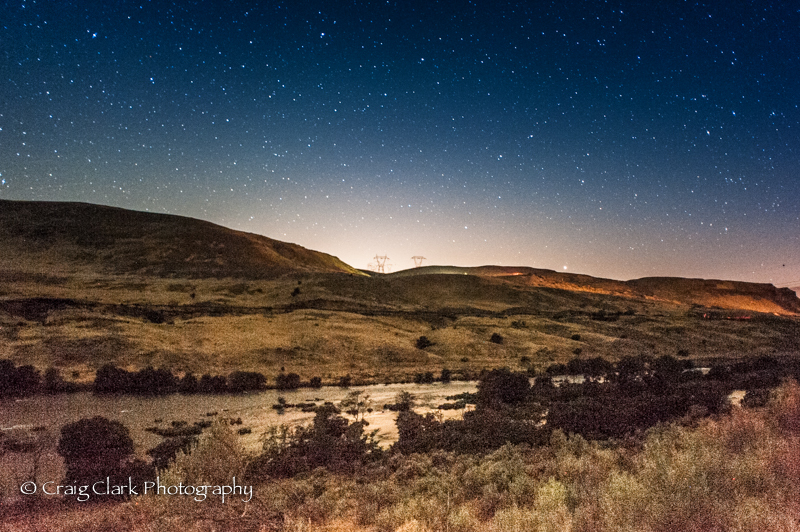 Generally my shutter speed is 20-25 seconds and I adjust the ISO starting at 3200. 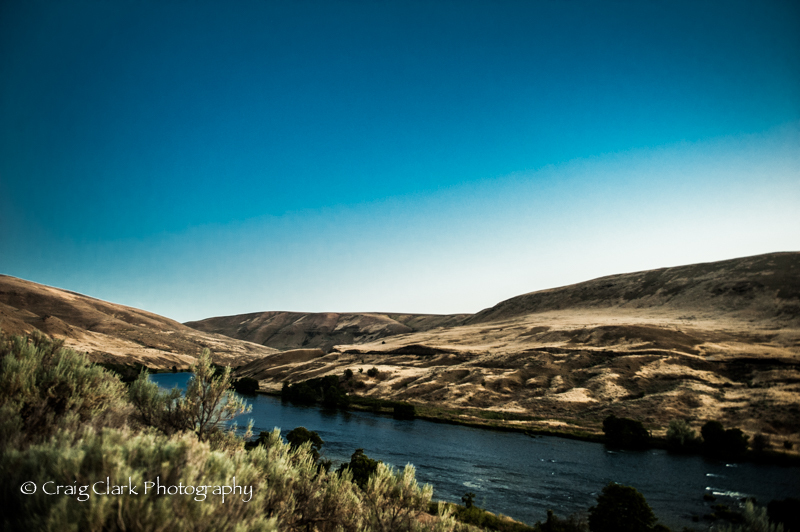 Shot 2 hrs later, about 11:30 looking towards a backlit hillside, and again we see the Deschutes River in the foreground. And finally around midnight the Milky Way begins to appear over the horizon, and we reap the rewards of a midnight train painting the hillside.